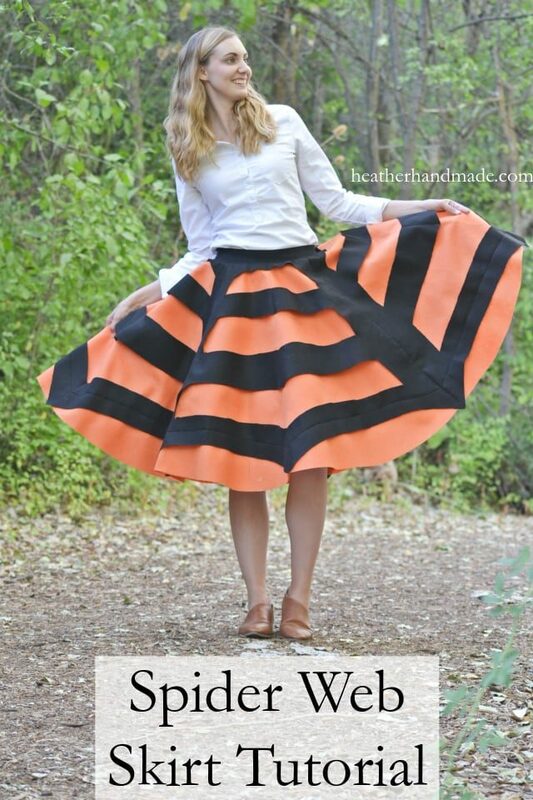 Make this easy Halloween skirt to wear to all the festive Halloween parties and activities! 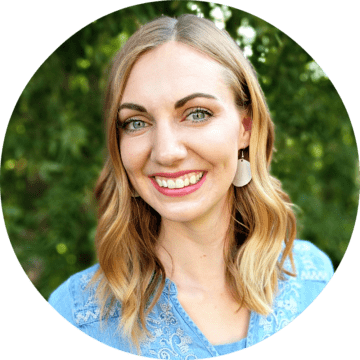 Do you want to dress up without having to work too hard? 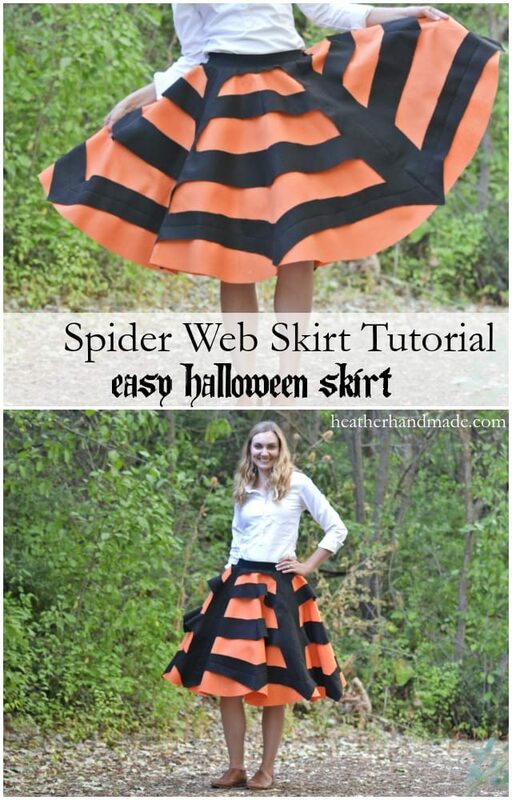 This spider web skirt tutorial even comes with a free circle skirt sewing pattern! 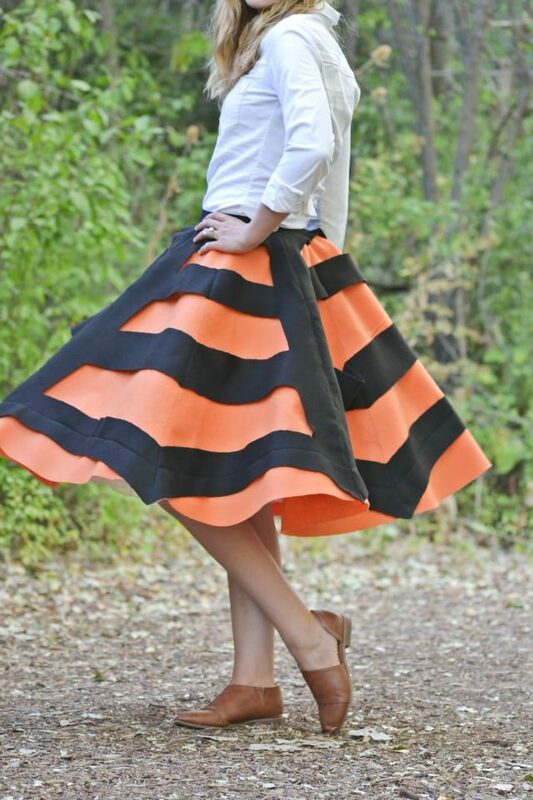 This easy Halloween skirt would work for a spider lady, a witch, a pumpkin lady, or even a cat lady. 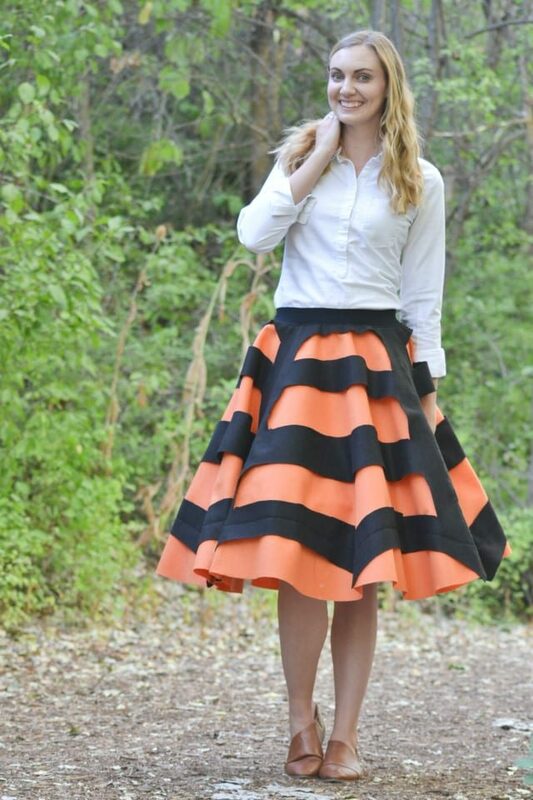 It would be that perfect basic Halloween skirt that changes to fit the costume as you need it to. This skirt is made out of felt so it’s not totally washable, but you could try it on delicate and cold. This skirt is really a costume that’s meant to be worn a couple of times a year and then stored for next year. I love the 50’s vibe it gives off, and it really makes me want to attend a festive Halloween party! I’m wearing a small petticoat underneath that I have in the costumes for special occasions. It helps the skirt till out a little, but you can wear this Halloween skirt even without a petticoat. 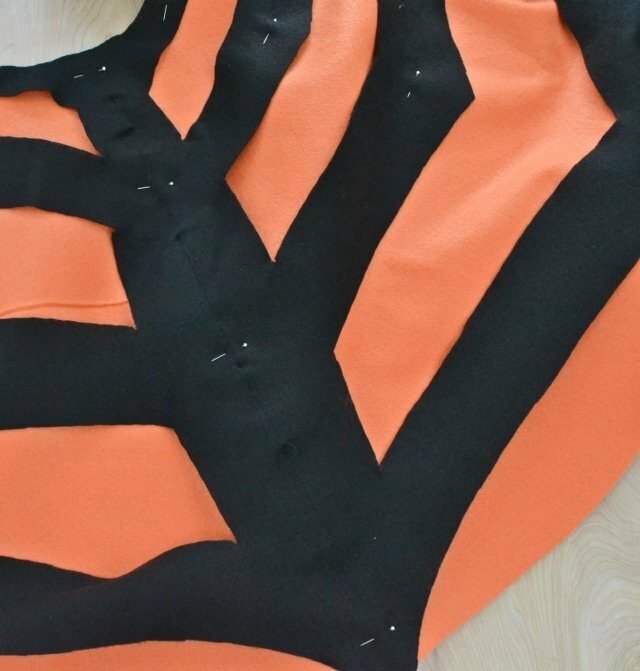 This spider web skirt tutorial will help you be ready for any Halloween event! 1. 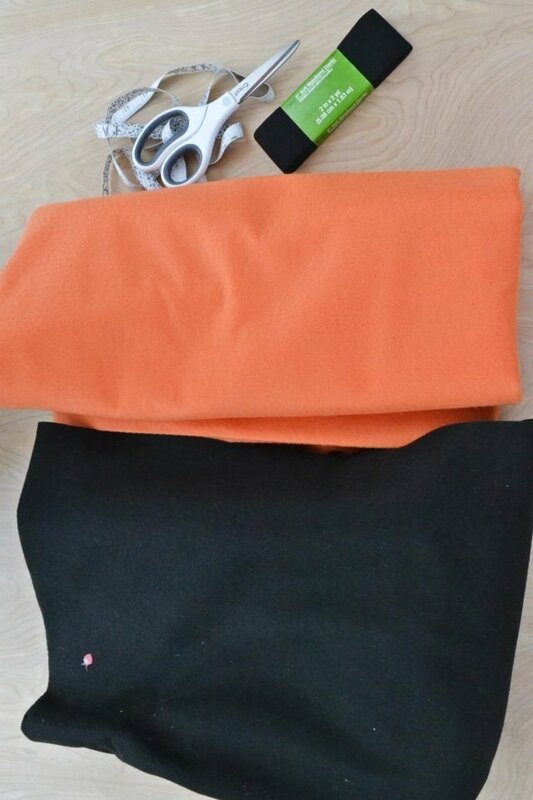 Cut out an orange felt skirt using your measurements and radius. Put the skirt aside. 2. Cut out a black felt skirt using your measurements and radius. The black skirt once cut out is fold twice. Fold it one more time so there are 8 layers of fabric. 3. Cut an upward curve on the hem for a great spider web scallop look. 4. Cut three curved rectangles out of the middle of the skirt. 5. 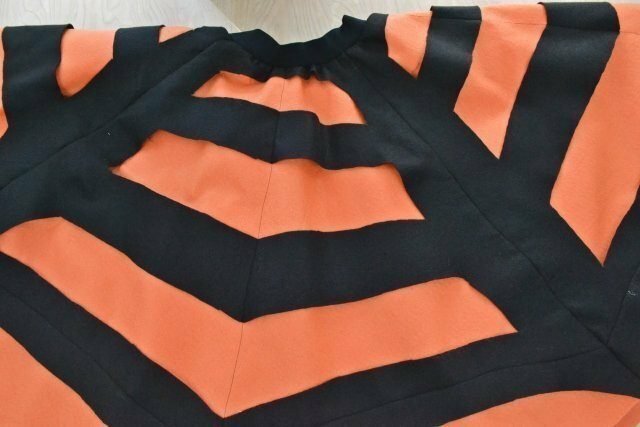 Lay the black spider web skirt on top of the orange skirt. Smooth them both out soo all the fabric is flat with no wrinkles. 6. 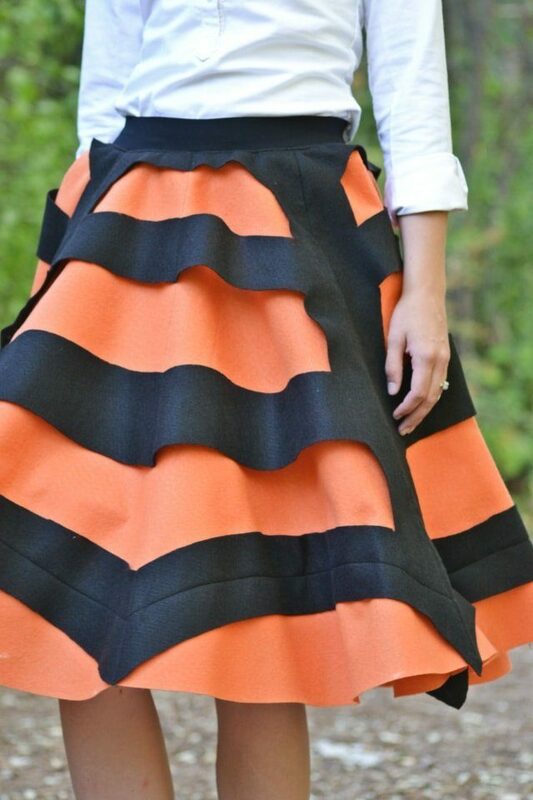 Pin the black skirt onto the orange skirt in increments. 7. Sew the black felt to the orange felt with straight lines. I found it easiest to start sewing at the hem and sew up towards the waist. Sew four lines of stitching on the black vertical lines. Then sew four more lines of stitching in between the black vertical lines. You’ll sew eight lines total. 8. Attach the elastic to the waist of the skirt. The free circle skirt template has a really good tutorial for this! I wore the skirt with my white cheyenne shirt because it goes with everything. It was one of my most versatile handmade sewing projects! 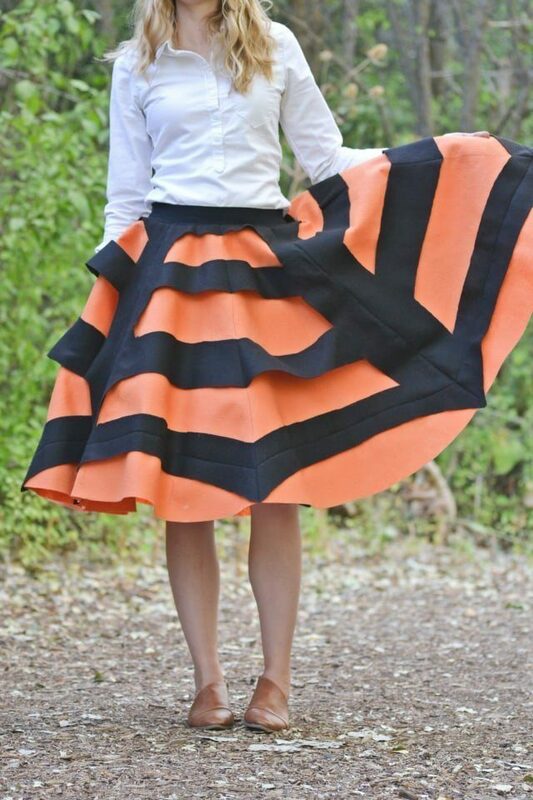 Who would you dress up if you had this Halloween skirt? Happy Halloween!